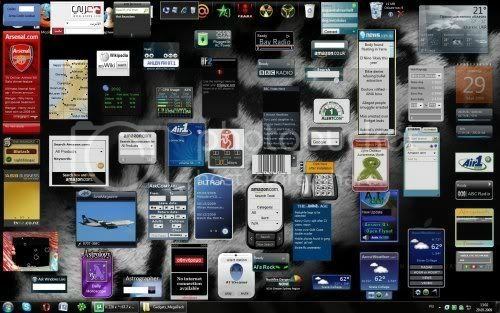 This assembly of 1000 of useful gadgets for your Windows 7/Vista. Extras Information: 900 gadgets necessary to establish a 100 Gadgets gadgets in a folder to extract to the folder C: Program Files/Windows/Sidebar. On the replacement of files / folders to agree.